Burnley have produced one of the best transfer announcement videos we’ve seen for a long time with their welcome for new signing Peter Crouch. The former England international – who did a robot dance celebration about, what, 13 years ago now, remains one of the biggest characters in the game and his moves in that goal celebration remain iconic to fans all over the world. Burnley have now brought Crouch back to the Premier League from Stoke City, with BBC Sport claiming the move has seen Sam Vokes move in the other direction. 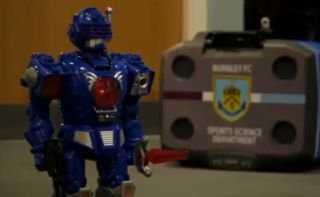 But whatever the 38-year-old does in the top flight between now and the end of his career is unlikely to top this brilliant robot video released by Burnley this evening!